The SW8000 is the leader in indoor and outdoor power sweeping. It is equipped with a 50-inch main broom, which is the widest in its class. The main broom combined with dual side brooms gives the SW8000 an amazing 77-inch sweep path. Ordinarily rider sweepers only control dust at the main broom but the largest area of dust is generated at the side brooms. The SW8000 has DustClear™ Five-stage Control System which controls dust at the front and side brooms, making it 70% more productive than conventional sweepers that only control dust at the main broom. The SW8000 has features like MaxAccess™, which makes engine and hydraulic components easily accessible to the operator, increasing efficiency and reliability. 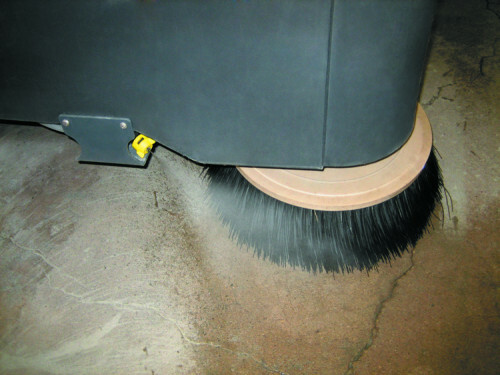 It is the easiest machine in the industry to operate due to One-Touch™ sweeping. 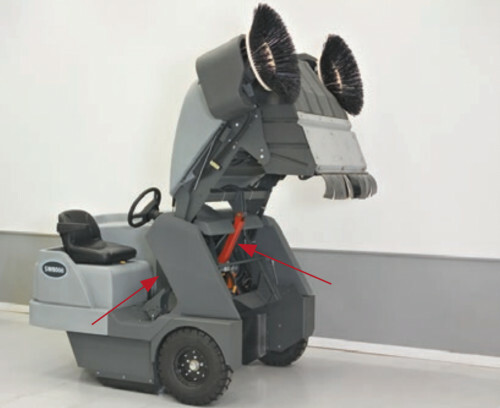 The operator can activate the brooms, control direction, and manage the dust control system all with the One-Touch™ controls and the foot pedal. The Clear-View™ design includes an offset hopper allowing the operator better viewing of key areas, minimizing damage and injury. The hopper has a safety arm that is managed from the operator’s compartment, in addition the interlocking engine cover protects the operator from moving parts. All these inventive features come together to provide a superior power sweeping experience. 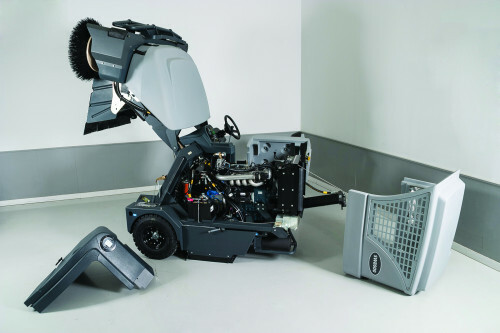 The SW8000 hopper can be raised to a height of 60", making it easy to dump debris directly into a waste receptacle while the operator remains seated. The hopper assembly can hold 14 cubic feet of debris. The SW8000 hopper is easy to position for dumping since the machine is a forward throw design. 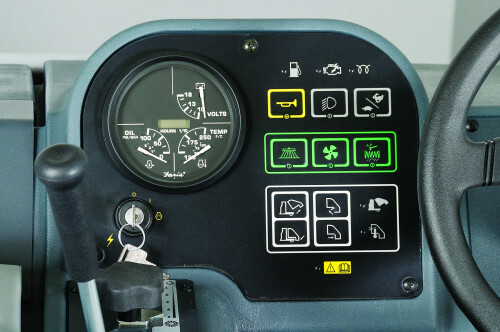 The SW8000 operator controls are very easy to use and require minimal training. All levers and buttons have icons that are very intuitive and the controls are placed in ergonomic locations.